Intuitive eating for weight loss. Knowing the origins of intuitive eating, those were a string of words I didn’t think went together. But I was wrong. I’ll be honest, I died a little inside when I saw that. 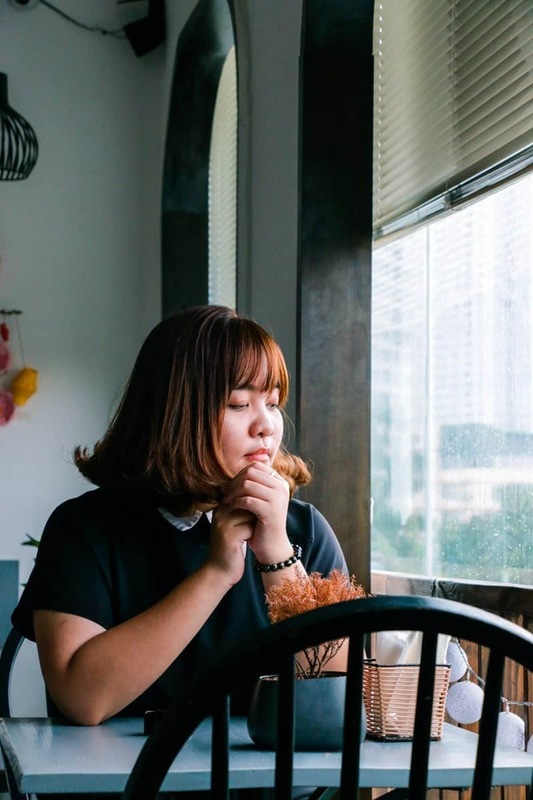 Then I thought about what intuitive eating is about and the benefits that it can have on a person’s relationship to food and their body, not to mention their overall health. 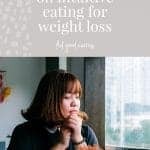 Combine that with the weight-centric, diet culture we live in, and I am not surprised that people are wanting to know whether intuitive eating will FINALLY be the thing that helps them lose weight forever. If you come at intuitive eating (or the non-diet approach, or mindful eating for that matter), with the intention of weight loss, you are effectively putting yourself on a diet. And what do we know about diets? 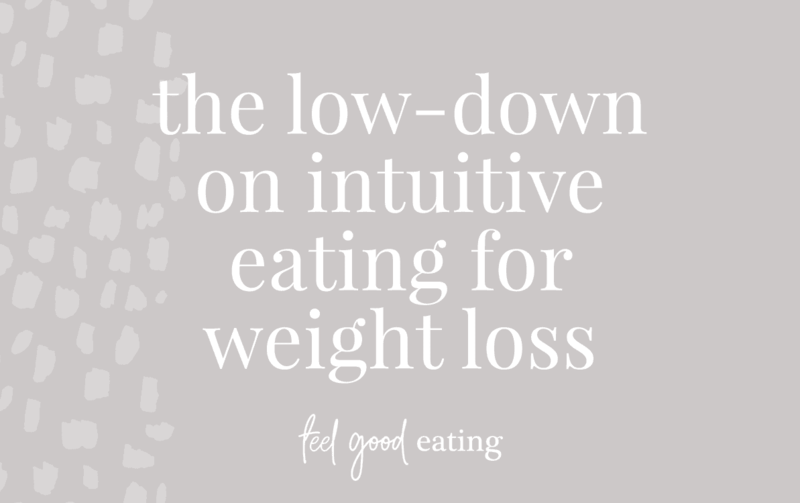 using intuitive eating for weight loss is also unhelpful because…. Diets have a start and end point, whereas Intuitive Eating is an ongoing process. If you treat Intuitive Eating like a diet for weight loss, you are telling yourself that your Intuitive Eating is going to have an expiry date. But embedding Intuitive Eating allows you to build a richer, more fulfilling life the longer you practice it. And most importantly, using Intuitive Eating as a weight loss tool it is disrespecting the intentions and origins of the model. As co-founder Evelyn Tribole has said “No health professional can rightly say you will lose weight with Intuitive Eating, including me!”, so to suggest otherwise is misleading. what is the relationship between intuitive eating and weight? Ideally, you want to move away from linking weight with Intuitive Eating. 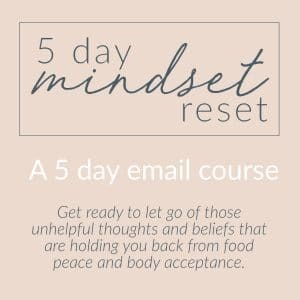 But I can understand that we have been conditioned to associate any sort of ‘health journey’ or ‘lifestyle change’ with the impact it will have on weight, so it can be hard to separate Intuitive Eating and weight and put any thoughts of desires about weight change off to the side. Or, it might do a fourth thing and that is; it might do a range of those three things over time (which makes sense given weight fluctuations are really normal for humans throughout the lifespan). What we DON’T know and can’t predict is which one will happen for you. Which is why it is more helpful to de-couple weight from Intuitive Eating and hone in on re-connecting with your body and letting it be your guide. embrace the imperfection that comes with eating, remove judgment and replace it with some self-compassion. This might be easier said than done, so if you want some help to get started, please get in touch. Intuitive Eating for weight loss? More like, welcome to your new diet.